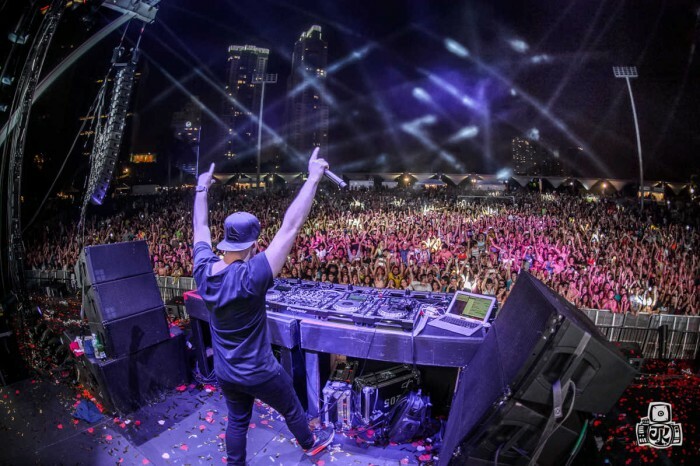 Hardwell performs during Ultra Music Festival at Bayfront Park in Miami, Florida. Photo via Rukes. As the rest of the United States bundled up Saturday night, Miami’s Bayfront Park was white hot with electronic dance music fans. 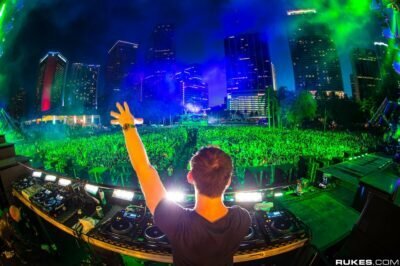 Dutch DJ/Producer and global musical force ‘Hardwell‘ was ending a global tour and playing a smaller-than-Ultra outdoor set in downtown Miami. The stage was set, and he came out firing. Being rewarded by DJ Mag as the World’s #1 DJ surely leaves fans with a bit of expectation. Hardwell was on the last of 2 North American tour dates and wrapping up his I Am Hardwell World Tour that scaled the globe; a tour that even further proves the incredible magnitude of his reach. Performances covered North America, Asia, Australia and Ibiza. He’s absolutely dominating electronic music in proper fashion, from live performances and residencies to record labels and beyond. Let’s set the stage: The Klipsch Amphitheater is a picturesque musical venue centered in 32-acre Bayfront Park, next to the gorgeous Biscayne Bay in downtown Miami, Florida. The temperatures are still warm in South Florida so the vibe was flawless; dancing in full effect. 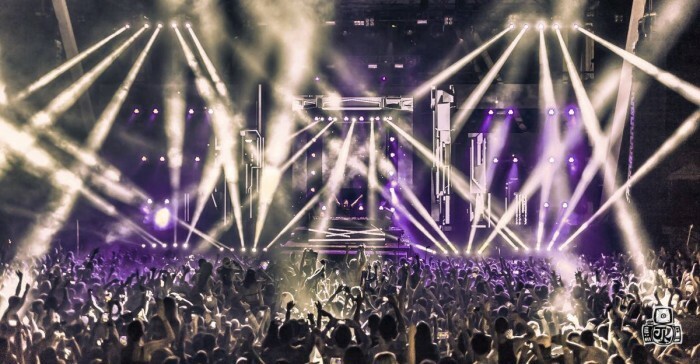 The Downtown Miami skyline sparkled under pink evening clouds, the salt of the Bay in the air and an array of lasers, lights and on-screen visuals that perfectly complemented the varying speeds and intensity of his performance. Hardwell performs at the Klipsch Amphitheater in Bayfront Park, Downtown Miami. Photo via Jason Koerner Photography. Over a set that lasted nearly 3 hours, Hardwell dropped musical bombs that covered the spectrum of musical genres from house to hip-hop, electro and even hardstyle to close out the evening. Though this same venue will be packed for Ultra Music Festival in a few months, the feeling and intensity was somehow the same. It felt much better having Hardwell on a more intimate stage. Usually we’re used to seeing him pack the main stage of large music festivals with 20,000+ people. It can be almost to the point where you’re 200 yards away from the stage with room to dance, or 50 yards away, body-to-body with your neighbor. Plus, it is hard to beat an outdoor Miami venue. The range of music selections and the production was on point. The sound was perfect and the danceability was at an all time high. Flawless execution is the best way to describe it. From beginning to end he kept the place alive, leaving us impressed with a performance that exceeded our expectations. Aside from this performance, Hardwell has always been a positive influence and force for the EDM community; From his music and production, to his persona and actions. 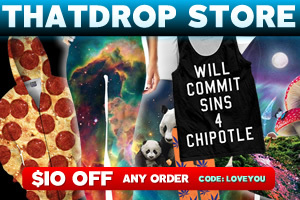 With thatDROP’s beginnings less than a year ago, our first exposure to the industry was at the EDMbiz Conference. Occurring annually in Las Vegas, EDMbiz is one of the world’s premier conferences in the business of electronic dance music; An event held by Insomniac that was one of the most well produced conferences we have ever attended. At the event we had the privilege of seeings artists like Above and Beyond, Steve Angello, Carl Cox, Destructo, Carnage, Borgore, Arty and Hardwell speak candidly about their experiences, business and their force in the industry and marketplace. Nearly an hour was dedicated to just a discussion with “Team Hardwell” – and all of his words resonated so clearly with everything we’ve heard among our peers, in the community and what we stand for. It’s all about creating great music that people love. It’s about the music, not whether you call it “EDM” or dance music or house music. It’s about having fun, respecting the other DJ’s and thinking of the EDM community as a team. Working with one another instead of competing with one another. The success of Hardwell can undoubtedly be attributed to his teams execution of this philosophy coupled with out-of-this-world performances. At only 26 years old, there is no telling what heights Hardwell will be capable of reaching in the coming years. The ‘I Am Hardwell’ Tour was a statement that Hardwell is here to stay. For everything Hardwell, be sure to connect via Facebook, Twitter, and SoundCloud. Watch Hardwell’s entire Tomorrowland 2014 set below. Photos courtesy of Jason Koerner Photography and Rukes.